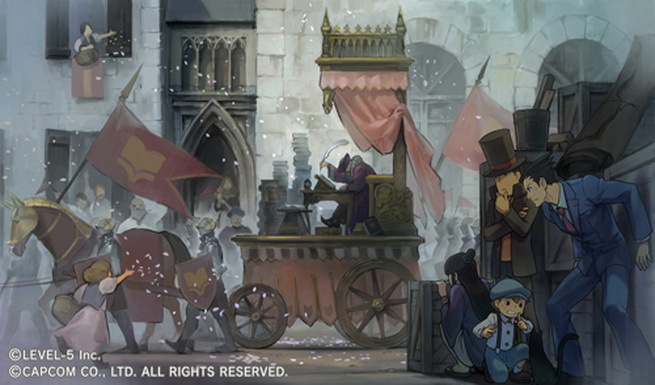 Layton Vs Phoenix Wright is Japan only but you can bring it to the west! Level 5’s mega crossover game for the 3DS , Professor Layton VS Phoenix Wright which it announced during Vision 2010 conference yesterday is only a Japan-only title right now. However, if you gamers really want it to release in your country, Capcom’s offered you with a chance to do so! “Want it available outside of Japan? Shout out in the comments! The more comments we get for this blog post, the better! IF you want this to release in EU and US, all you need to do is post a comment over there, it’s that simple. C’mon let’s show these guys how much we love both these characters. We have already commented btw, it’s your turn now!